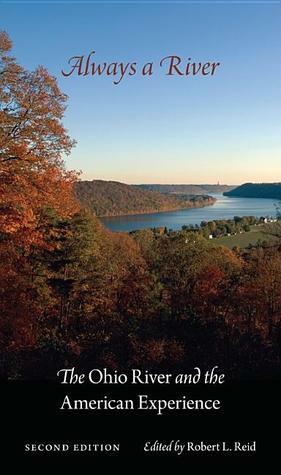 Excellent review of the history of the Ohio River with plenty of information on how the river was engineered by the Army Corps of Engineers. The book is a collection of essays that did seem repetitive in parts but it gave me a good perspective on the efforts to enhance the river over the past 200 years. Key excerpts below:- Cincinnati became a virtual "German" town.... Baumann actively recruited German craftsman and laborers for his wide ranging commercial and industrial activities.- In reference to German immigration... They were not flying to the sound of the trumpet he said but hurrying from misery and starvation. They could not obtain a living in their native land, but had been promised one in Ohio. - While a downstream trip from Louisville to New Orleans might take as little as three weeks, the upstream return might very well take three to four months. - The French and Indian War ... centered on control of the vital Ohio Valley. Some interesting history of the Ohio River system from colonial times to today. The politics involved in keeping it safe and clean as well as the politics in sustaining the needed energy provided by it's resources were all discussed as well as need to maintain jobs for those living in this area. It will never be the river it once was but will remain an important feature in our American landscape.Methods used to make the river deep enough for boat use year round were interesting. Time and technology constantly kept the engineers planning new and better ways to navigate the river.Although I don't live within its drainage system, I can see the influence it has on my life as well.